This book provides new perspectives on recent Asian dynamism which go beyond the mainstream views, by attempting to situate the recent economic expansion within a broader analysis of capitalist accumulation and the various processes that it generates both within and across economies. 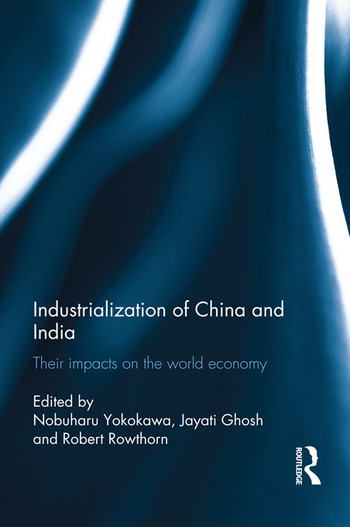 The contributions in the book include analyses of recent growth patterns in both China and India; assessments of the sustainability of such growth and potential constraints and pitfalls; the role of international finance in affecting both national and international growth and employment patterns; the factors determining particular accumulation strategies and the results of these strategies. These forces within the two economies of China and India are situated within a broader assessment of the impacts on the world economy, by identifying long run tendencies in international capitalism and changing patterns of uneven development. Specific issues emerging within the Asian region are identified, including not just the relations between the three large Asian economies, but also the wider geopolitical implications as well as the political economy of these changes. This book therefore provides a more comprehensive examination of the longer run dynamics of the global capitalist system in which these economies are necessarily destined to play more significant roles in future. Nobuharu Yokokawa is Professor of Economics at Musashi University, Tokyo Japan. He was educated at Shiga University (BA), the University of Tokyo (MSc) and Cambridge University (PhD). His publications include Value, Employment and Crisis (in Japanese, Shakai Hyouron Sya). He had co-edited Capitalism in Evolution (Edward Elgar), Crises of Global Economies and the Future of Capitalism: Reviving Marxian Crisis Theory (Routledge, forthcoming). Since 2007, he has been editor of the Uno Theory Newsletter. He is Chairman of the JSPE Committee for International Communication and Exchange. Jayati Ghosh is Professor of Economics at the Centre for Economic Studies and Planning, School of Social Sciences, Jawaharlal Nehru University, New Delhi. She was born in 1955 and educated at Delhi University, Jawaharlal Nehru University and the University of Cambridge, England where she obtained her Ph.D. in 1983. Since 2002 she has been the Executive Secretary of International Development Economics Associates (IDEAS), an international network of heterodox development economists (www.networkideas.org). She is Founding Trustee of the Economic Research Foundation (www.macroscan.org). She received the NordSud Prize for Social Sciences 2010 of the Fondazione Pescarabruzzo, Italy, and was awarded the ILO Decent Work Research Prize for 2010. Robert Rowthorn is Emeritus Professor of Economics and Fellow of King’s College, Cambridge. He is the author a number of academic articles on economic growth, structural change, international investment and the balance of payments. His books include De-industrialisation and Foreign Trade (with John Wells). He has been a consultant on these topics for a variety of bodies including the International Monetary Fund, the UN Commission on Trade and Development, the International Labour Organisation and the British government.